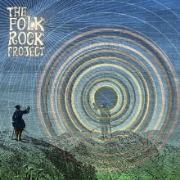 The Folk Rock Project heralds the merging of folk and rock with Lewis’ prolific, original songwriting and his penchant for interpreting the revered singer- songwriters who defined the genre. Dylan's Highway 61 & Blonde on Blonde era , Eric Andersen, John Stewart and Willie Nile all get their due in the FRP, while Lewis' own tunes run the table from the confessional to inner and outer changes be they political or of the spirit. Lewis' layered guitar loops and violin overdubs allow the band to move in unpredictable directions including long-tailed jams, while rhythmic and soaring rock-infused fiddle tunes like Lewis' homemade scorcher Lighter Than Fancy round out their repertoire.